North East science blogger ALBERT SIMPSON examines how we make something out of nothing. SO, you think you’re something do you? Well, 99 per cent nothing, but don’t worry, I’m just the same, in fact everyone and everything else is just the same. Let me explain. We’ll start by taking a look at the wonderful Bamburgh Castle. 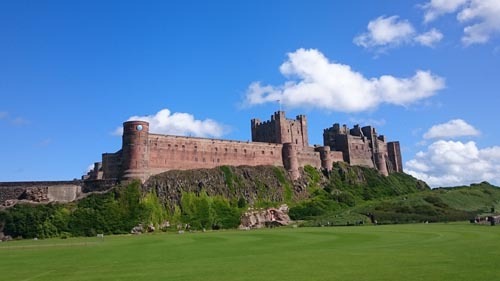 When we look at this imposing fortress up on the majestic coast of Northumberland it is hard to comprehend that everything we see is more than ninety-nine percent nothing. How can it be that this grand stone building and the apparently solid rock on which it stands are mostly nothing? Not to mention that they have been photographed by a person who is also more than ninety-nine percent nothing – sorry son. You see, EVERYTHING in our world is ninety-nine percent nothing. That’s because the tiny atoms that make up our world are all over ninety-nine percent the space of outer space. For example, one billion atoms make up the diameter of a human hair and in each atom less than one percent are matter particles. Matter particles are protons, neutrons and the much smaller electrons. The rest of an atom is nothing but empty space. Yes, the rest is nothing but nothing. OK, so we are nothing, but how is it we FEEL and SEE the solids, liquids and gases that SEEM to take up so much space? It might appear to us that when we push a car or when we make love that we are making multiple contacts, but that’s not so. Atom particles don’t easily make contacts. Their speeds of motion and their interacting ‘push and pull forces’ stop them from doing so – how unromantic. Your feeling of an object is actually the object’s particle forces and your particle forces resisting the close approach. But atomic particle forces don’t just push; they also have a pull capability. In solids such as Bamburgh Castle, these complex push and pull particle forces combine to bind atoms strongly together. Such binding is less strong in liquids (like Bamburgh’s neighbouring sea) allowing greater flow, and weaker still in gases including Bamburgh’s surrounding air (air is a mix of gases) where atoms and linked atoms (called molecules) move freely. The human body is a combination of solid, liquid and gases maintained as an entity by particle forces. All these particles feel the gravity pull of the earth’s particle forces yet when our body particles come close to earth’s particles, the forces strongly resist contact. 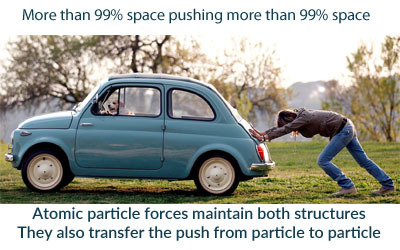 When you push a car your applied forces are transmitted via the car’s particle forces to every part of the car so that the car moves as a whole. In the process not one atom particle touches another. 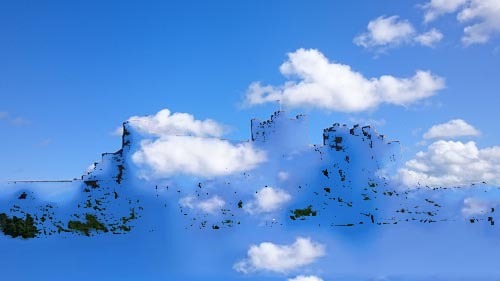 You might think that when you push on a wall no movement occurs but trillions upon trillions of atom particles make tiny adjustments throughout your body and throughout the wall and throughout the ground, that both you and the wall push upon. Your muscles’ forces are not steady and that leads to continuous particle movements each requiring small amounts of energy that sum to much energy use. You do not move the wall but you use a lot of energy moving particles. Your brain ‘feels’ the push because sensors in your skin constantly respond to the local force and frequency stimuli. They send electrical signals (which are also atomic particle force related motions) to the brain along the nerve pathways that form your central nervous system. IF IT’S ALL 99 PER CENT NOTHING HOW COME WE CAN SEE IT? Okay so now we know – quite literally – how we all feel, so we should now be able to see things more clearly. Hang on though, how come we can SEE so much if it’s all 99% nothing? To explain how we see all this empty space we need to understand something of the sight process. Radio and wifi waves, microwaves, heat waves, visible light, ultra violet light, x rays and gamma rays are all electro-magnetic radiations. We experience these radiations in a number of different ways. Our bodies feel heat radiations through skin sensors. Ultra violet and higher radiations might damage our skin while our eyes only see the radiations we call visible light . We see these as light because our eyes have evolved sensors able to monitor the small range of frequencies that make up the visible light radiations. But what are these radiations? Well, these radiations are supposedly mass-less photon particles that travel at the speed of light through the ninety nine percent space of atoms, as well as through atom free outer space. Photons are the conveyors of energy packets. They are the parcel couriers of the Universe. And such couriers vary considerably in energy level which is frequency related. High frequency, high energy radiations are dangerous to humans; low frequency energies are not dangerous. When a photon encounters atomic particles there is a probability that the total photon energy will be given up. Solids absorb almost all photon energies whilst liquids, glass and the gases of our atmosphere allow various levels of photon to pass through which is why we have varying degrees of transparency. 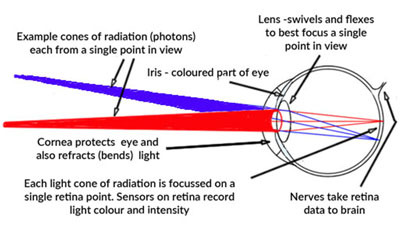 Sight involves photon absorption by the eye’s retinas. Every point on each eye’s retina has numerous sensors designed to respond to visible light photons. Our eye lens focuses many radiations from a single view point onto a single retina point. Like piles of interesting informative packets of energy gathered together in some grand package delivery warehouse. The brain receives electrical signals from the retina sensors, and interprets the data as an image of colours and shapes. So our brain is the sorting office that makes sense of it all and ensures we receive the information that help us make sense of the world. High levels of energy emanate as radiations from hot particle motions, like those on the sun. But radiations also occur from cold objects which radiate any surplus energy they have. Like the sun, they radiate it in all directions. In the daytime many objects on earth are absorbing sun-radiated energy and their atomic particle motions change as a result of the absorbed energy. Some of the absorbed energy might be retained, leading to warmth or, in life forms, cell growth might result. However most energy absorbed is surplus and almost instantly given up as radiations in all directions. The absorption and subsequent emission of energies by earth’s atomic particles is a never ending process. It is happening everywhere. The shapes and colours of our world arise because the frequency-related photon packets of energy given up by earth’s objects are mostly not the same as those absorbed. The radiation emanating from an object or life form is very much related to the object’s atomic structure. Such energies are released in all directions in a continuous process. Some energy goes back through our atmosphere and into space; much will pass to other earth objects for absorption and re-emission. What our brain sees as the colours and shapes of objects is its own interpretation of the frequency of the energies radiated from those objects. 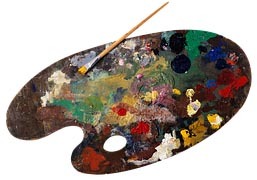 Man takes much pleasure in extensive experimentation with varying frequencies of radiated energies in our use of paint pigments, clothing dyes, make up and multi-coloured movie screens that can deliver desired results with so much visual satisfaction. Yet it is all so fundamentally nothing. Well, mostly. So in summary, if you really think you’re something in this colourful, multi-sensory, hot and cold seemingly object dominated world, well you may want to think again. Next time we will look at particle forces in motion or ‘electricity‘ as you will very probably know it. A gleaming canopy of lights and a Continental-style café and cocktail bar form part of new plans at Newcastle’s much loved Tyneside Cinema. Plans were revealed in January showcasing the transformation of High Friars Lane, where the entrance to the cinema resides. The hope is to give the once dreary alleyway a makeover with a full ceiling of sparkling lights in a bid to turn the area from grotty to grotto. Hundreds of cinema lovers across the region have helped fund the cost themselves with the Tyneside’s Just Giving page appeal peaking at £4,990. As well as the canopy of lights, the Tyneside recently opened the doors of its brand new café and cocktail bar Vicolo (meaning ‘alley’ in Italian- see what they did there?) The former Intermezzo bar has already received rave reviews from film, food and coffee lovers alike. 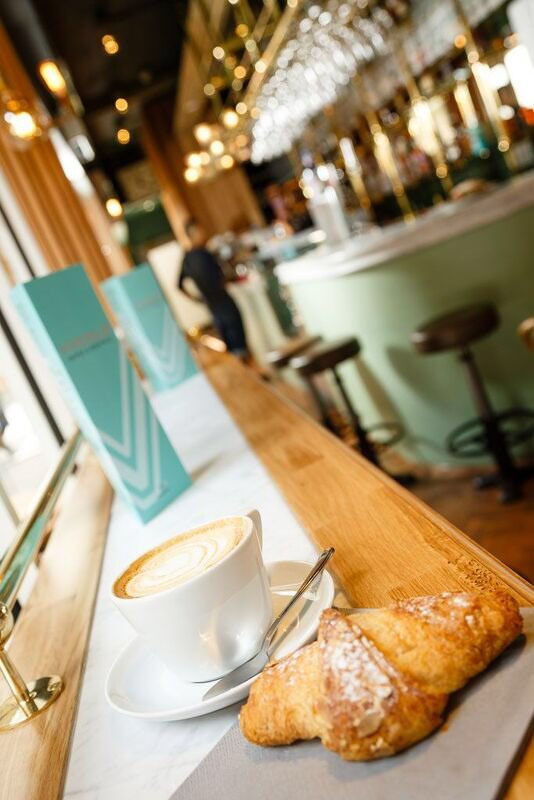 Vicolo’s relaxing, chic and continental ambience is inspired by chef Tom Adlam’s desire to create a foodie hang out which boasts unique treats like Vicolo’s own ice cream, ‘sandwiches by the inch’ and ethically sourced coffee. The interior was created to look like it had evolved through time and the space takes references from Italian cafes, particularly those dating back to the 1930s, ‘50s and ‘60s with a retro stylish vibe. Additional features to the outdoor area include; new signage to welcome visitors, the installation of bicycle racks and a new and extended pavement café. The much loved art house cinema is no stranger to makeovers and has undergone huge interior changes in recent years, including a £1.3m redevelopment which led to the opening of an additional cinema screen and the ever popular Tyneside Cinema Bar Cafe in 2014. 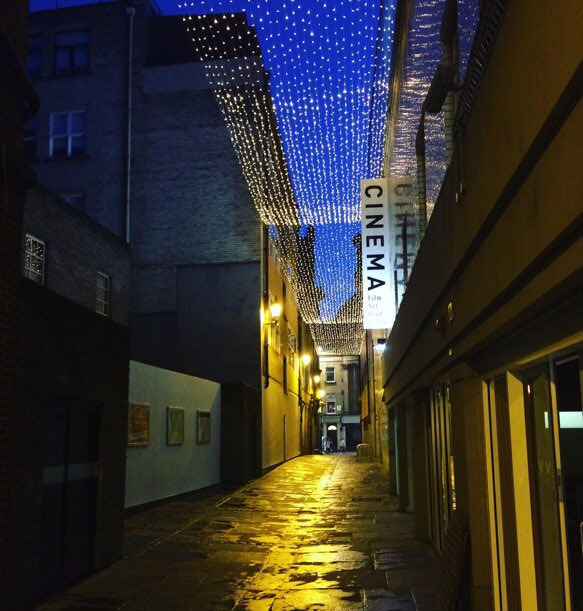 Tyneside Cinema is an independent cinema in Newcastle and the city’s only cultural cinema that specialises in the screening of independent film and world cinema. Vicolo’s opening hours are 9am to 11pm on Sundays and 8am to 11pm Monday to Saturday.